I saw a posting on Facebook last week reminding me that the number of Fridays before Christmas were dwindling. This threw my mind into Christmas shopping mode. Christmas is my favorite time of the year! I love the thrill of shopping for the perfect gift for family and friends. 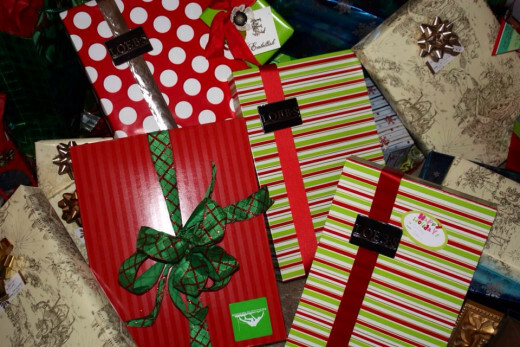 Usually, the hardest people to buy gifts for are the men in my family. I would like to NOT just give a gift card or an item on their list every year. Occasionally, I would like to have them open something that is a complete surprise! 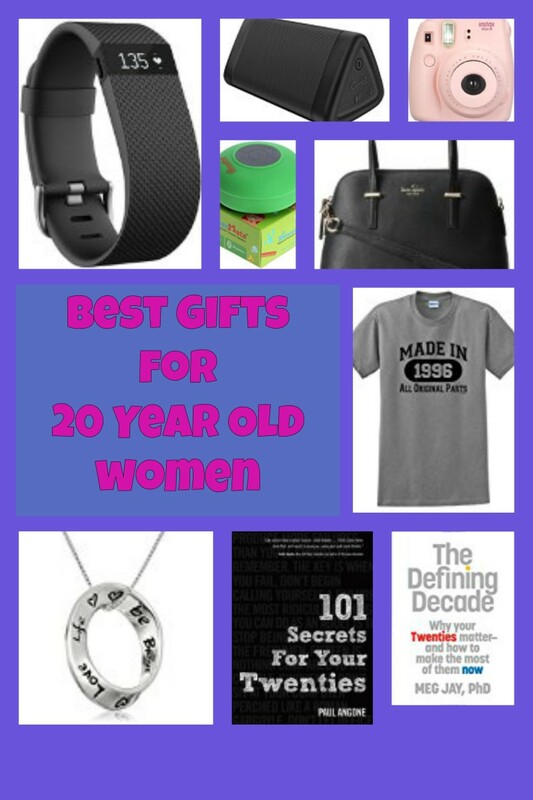 So, I thought I would share with you a few of the favorite gifts I found to surprise the men in my life...that were successfully received (unlike that golf-themed print I gave my brother years ago!). How Early Do You Start Christmas Shopping? My husband loves to travel and has visited many countries over the course of his life. He enjoys telling our children stories from his traveling experiences. When I discovered there were travel map gifts available, I thought this would be the perfect present for my husband to allow him to revel in the memories of his different trips. 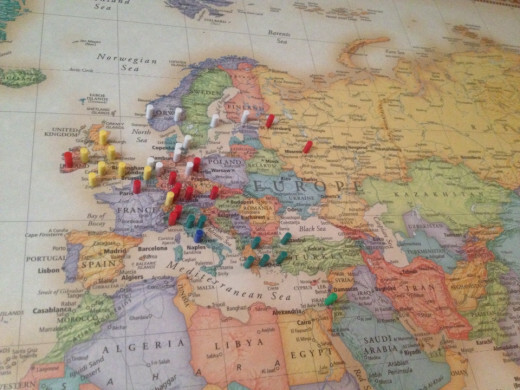 Several of the maps I saw available from online stores used tacks/pins to mark the destinations. I did not like the idea of piercing the expensive paper maps with so many holes, so I was excited when I found a magnetic travel map which used pin-like magnets. 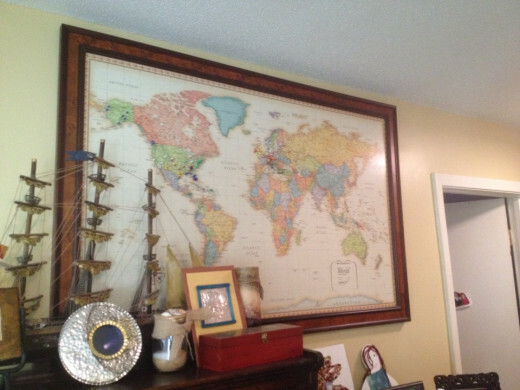 My husband loved his framed travel map, and we now have it hanging in our upstairs hallway. 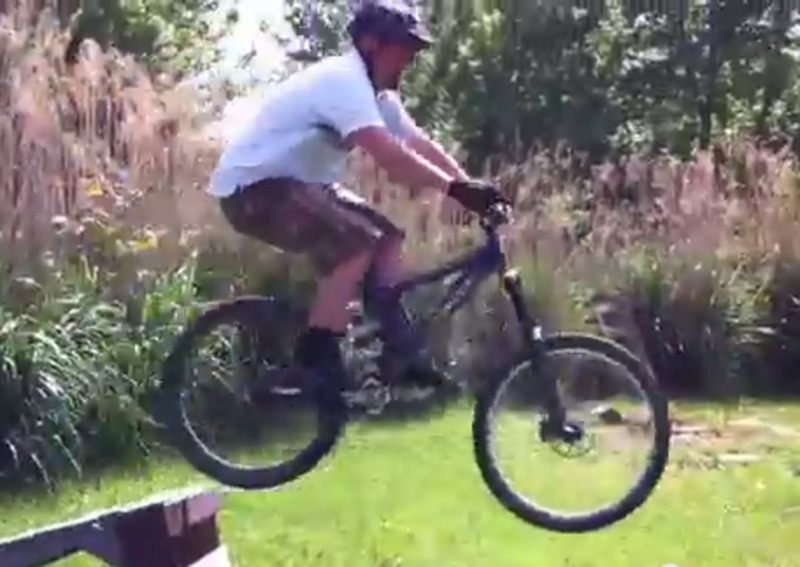 There are several perks to such a gift. Not only does my husband have a fun visual aid to use when talking to our children about his travels but also an easy way to sneak in a geography lesson! An added benefit is that I am able to give my husband additional sets of the magnetic pins as a stocking stuffer each year. My husband plays guitar and frequently I heard the question "Have you see my guitar pick?". 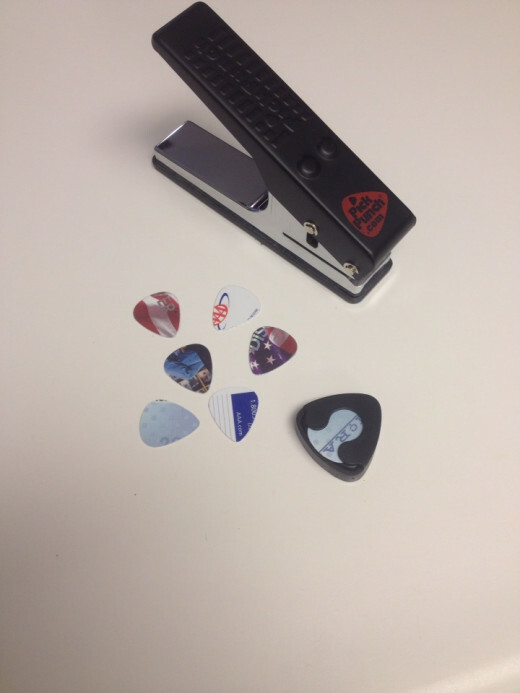 So when I saw the Pick Punch in a catalog, I knew he would like the concept of creating his own unique guitar picks and having a constant supply of them. This item is the same concept as a hole puncher except it punches "picks" out of plastic materials. 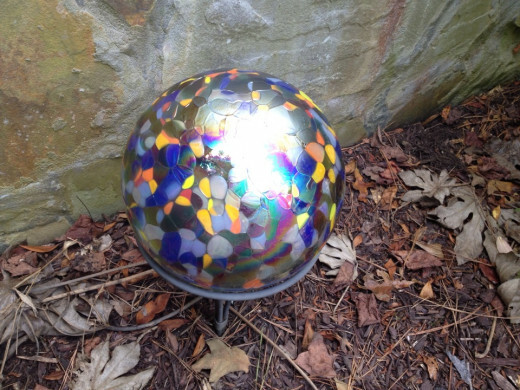 This a great way to recycle those old credit cards, gift cards, membership cards, etc. Alcoholic beverages are usually a popular item among most men I know. 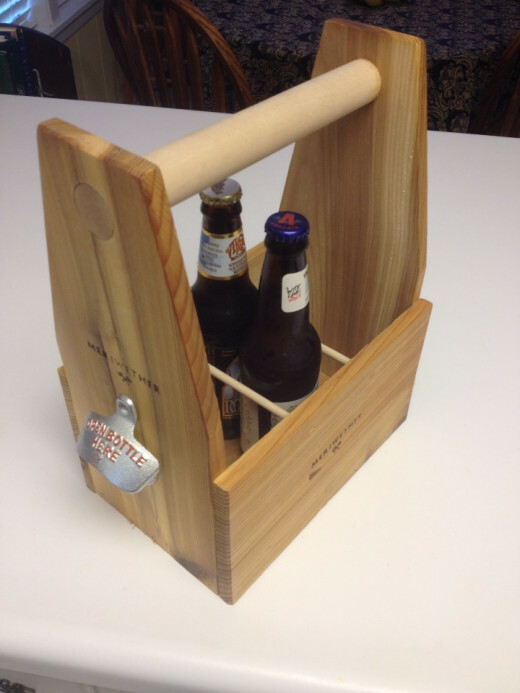 A wooden beer crate with a bottle opener is a unique and functional way to display and transport your beer. The attached bottle opener is right there with you when you need it. 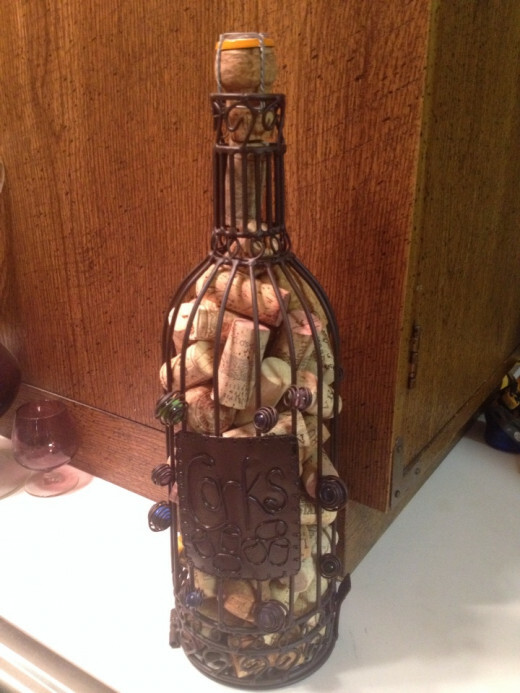 A cork cage is also a gift idea that offers a unique way to display used wine corks. The gift recipient might even want to write dates/events on the corks to commemorate special occasions before tossing them into the cork cage. Recycled beer bottlecaps items make a very unique gift option. 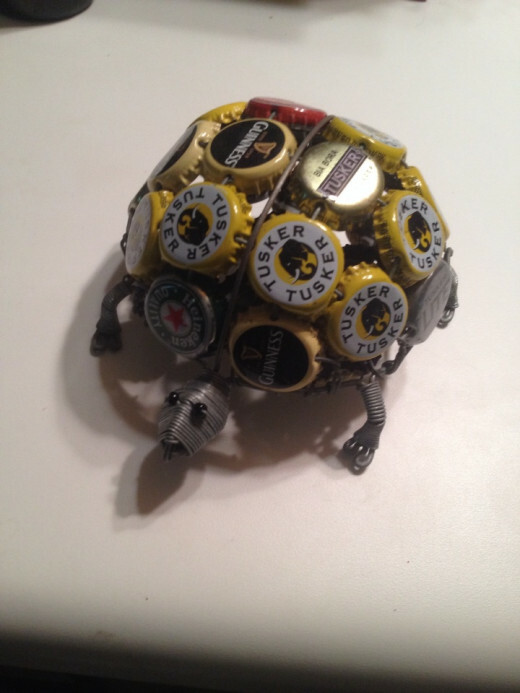 I first purchased a turtle made from recycled bottle caps at a local gift shop in my town for my husband, but I have seen many gift options made with bottlecaps at online stores as well. 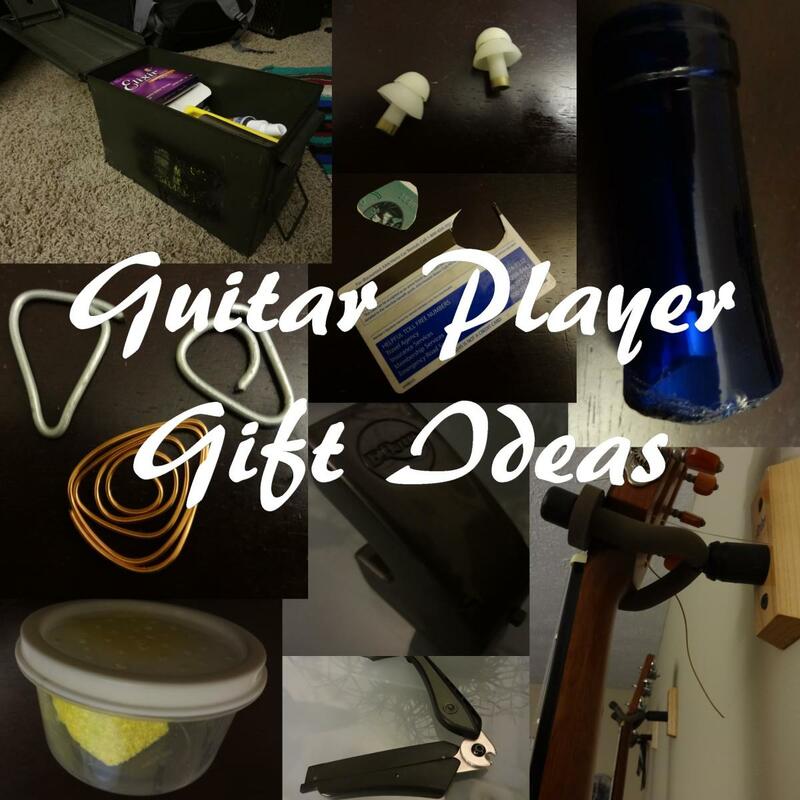 To increase the uniqueness of your gift, you may even want to do an online search for some of the do-it-yourself projects to create your own homemade bottle cap gifts. Bottle Caps one of the most littered items. Keep off the streets and into your projects | See more about bottle caps, bottle cap art and plastic bottle caps. Free Shipping - The GSI Bugaboo Camper cookset is fully equipped to meet your needs on a 4-person backpacking trip or car camping adventure. When camping for several days, you need dishes to cook with and dine on. 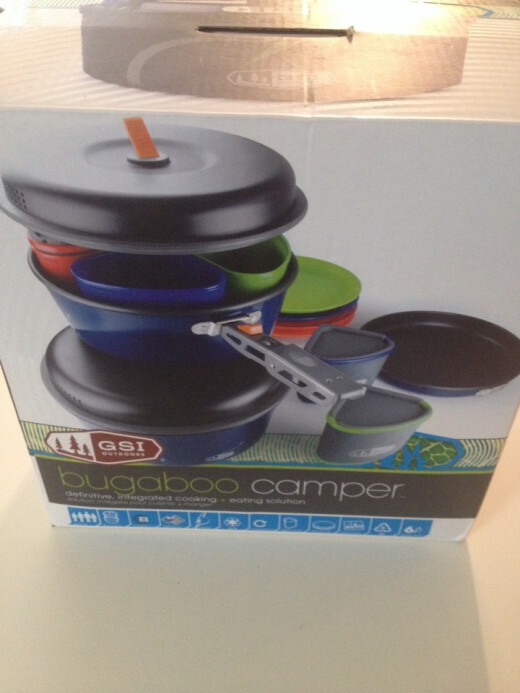 The Bugaboo Camper set is a very compact and packable dish set that makes a great gift for the frequent camper. So your man will always have a useful tool handy, even if out on a camping trip, there are rugged belts made by companies such as Kavu and Yeti that have a bottle openers built into the buckle design. 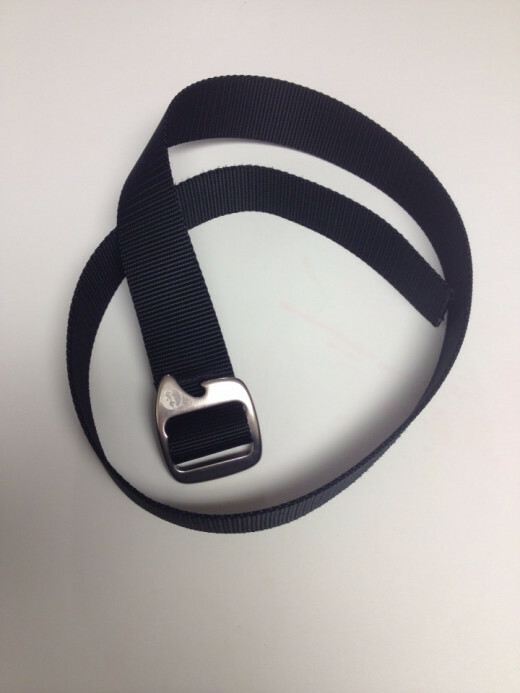 These belts are adjustable and can be cut off at the desired length. This makes them an safe gift choice since one size fits all. Our family recently made visit to Memphis, TN to the Bass Pro Shop at the Pyramid. This expansive store with its wilderness decor will awe and impress you as soon as you walk in! 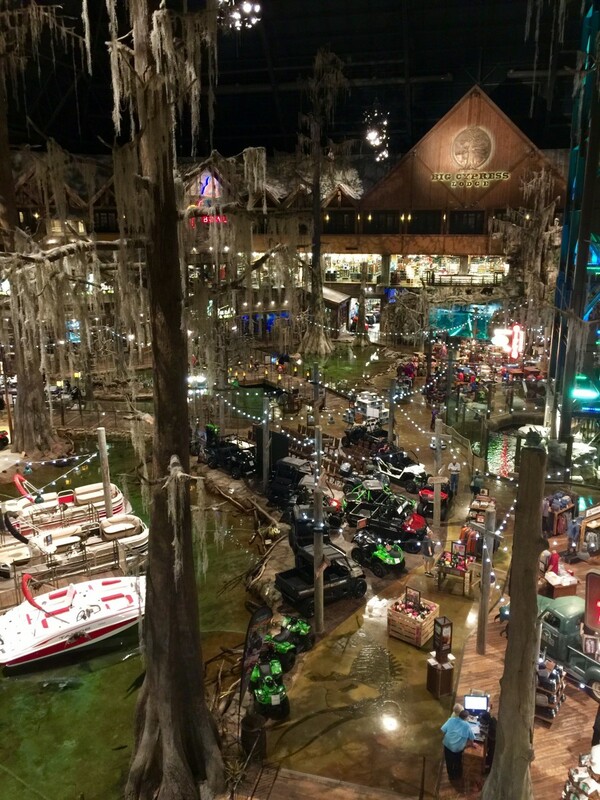 The Big Cypress Lodge, a luxurious wilderness themed hotel, is INSIDE the Bass Pro Shop and is sure to bring a smile to your man's face. A stay at the lodge with a gift certificate to Bass Pro Shop would certainly be an unique and impressive gift! With large indoor cypress trees and rooms fully immersed in Bass Pro Shops outdoor lifestyle, Big Cypress Lodge is one of the most unique hotels in downtown Memphis. 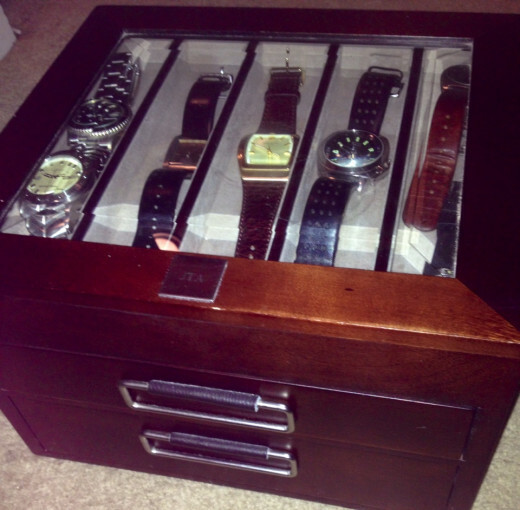 When questioned, my husband will say one of his favorite gifts was his watch valet. 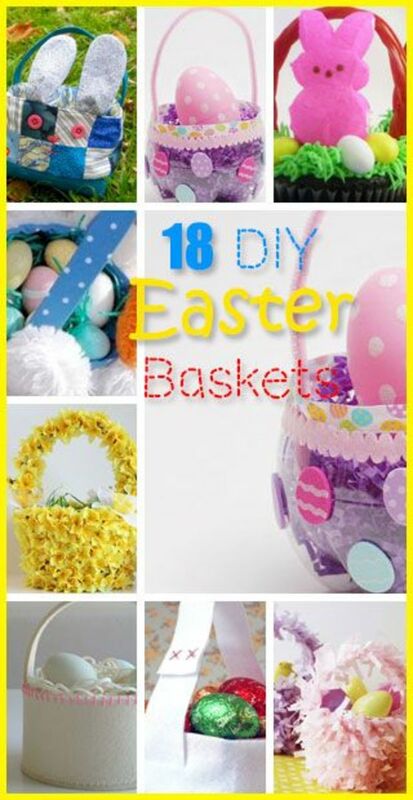 You can find a variety of options for these online. 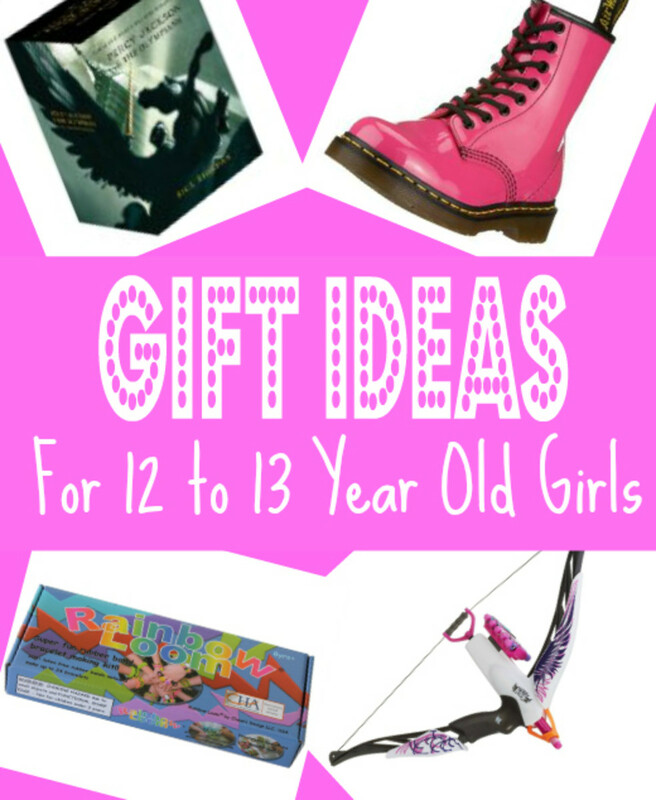 This is a diverse set of gift ideas from items that I have been excited to discover over the last few years. I hope this article will help you find inspiration as we will soon be entering the holiday season. Happy shopping!